First of all let me clarify something. I’m a muhindi and it’s expected of me to be eating pickles and chutneys with every meal including my cornflakes. I am supposed to be able to eat chillies at an alarmingly high rate and not even wince when biting into those small bullet peppers. ‘Supposed’ being the operative words here! There was a time I could eat no food without dollops of hot sauce on it, or some sort of chilli condiment with it but as I grow older i realise I have what us Kenyans term as a ‘mzungu palette’. I can’t bear the heat in my mouth or the havoc that gets wreaked on my insides. I have a mzungu friend and he tries really hard to fit in with my mum’s cooking. Mum has a bit of a heavy hand where pili pili is concerned so he’s usually politely red-faced until he leaves the house and runs for an ice cream parlour. My dad’s younger brother has a habit of eating a special chutney with every meal of his. He makes it himself and it is, in fact very simple to make and tastes divine too. Basically it’s a yoghurt based garlic chutney. Just mix everything together and this chutney goes with just about anything – except your cornflakes of course. Try it with samosas and chicken tikka, sandwiches, drizzle it over irio (my favourite), in fact just about everything. 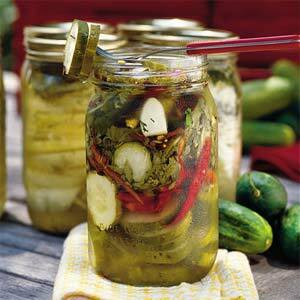 You can pickle a lot of things, including many vegetables and fish, in a solution of brine and vinegar. The terms chutney and relish are often used interchangeably, but a chutney is usually considered to be an Indian-style relish made of fruits, such as mango, and certain spices, plus vinegar and sugar. Other relishes can include a variety of ingredients, not simply cucumber. Not all things pickled are chutneys. Generally, chutneys are not whole or simply sliced (like a cucumber pickle), but are diced and more spices are added to chutneys. The difference between them is mango pickle is a pickled version of mango(Achaar) and the chutney is a blend of spiced with mango added in it. No self respecting chicken tikka joint can go without an array of chutneys to accompany the yummy food you get served. A tamarind chutney is usually standard fare at such restaurants. I remember my Granny (cucu) used to make a fabulous mango achaar (pickle) with mangoes handpicked from her garden. The process was amazing. Firstly you pick the mangoes and wash and dry them really well, then cut them into small, long slices with the skin on – and at this point it is important to note that the mangoes are not the sweet orange fleshed ones. These are usually hard. Once washed and dried they are rubbed with salt and then laid out in the sun to dry completely. Granny used to use Granddad’s voile turban material but one can also use newspapers to lay the fruit out on to dry out in the sun. Once totally dehydrated, Granny would cook these dried mangoes in oil and i must say it’s not just a tablespoon or three of oil. She’s use litres of it! To this she would add cumin seeds, mustard seeds, fennel seeds and lots of red chilli powder and of course green chillies and a whole host of other things that i seriously can’t remember at this point. The result was an amazing mango pickle that would taste divine with pronthas (shallow fried chapattis) and hot masala chai. Did you also know that marmalade is considered a sweet pickle? We love to put it on our hot buttered toast. I Portugal the fruit called quince would be used to make a kind of a sweet pickle which came to be known as marmalade and the ladies would make this marmalade and give to a man as a token of her love. Basically if you were in love with a man and wanted him to know that, you’d make him some marmalade and present it to him and in some parts of Europe this tradition still continues. To this day, this fruit called ‘quince’, as it falls off a tree, a man may pick it up and hand it to a lady to indirectly say ‘Would you make me some marmalade’ so I guess the man, too, can reciprocate his feelings or make them known to a woman he loves with this gesture. Previous Vegetarianism – It’s not for the wimps! Next When to really use the vuvuzela….